IT Outsourcing Review: Ukraine team is pleased to continue with telling you about the innovations by the Ukrainian IT industry aimed at helping the Army in the east to struggle the enemy and withstand in the fierce fights against the terroristic pro-Russian armed groups. The first on-line platform to monitor and evaluate the level of destructions underwent during the ATO in Donbas region. It has been developed by the NGO “SocialBoost” under the support of the UNO as a mobile app for smartphones. 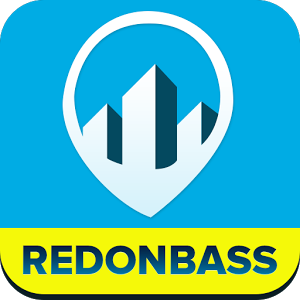 This app allows observing the damage to residential, educational and medical infrastructure, but also to monitor the condition of roads, report damage and destruction epicenter in the residential and industrial sector of Donetsk and Luhansk regions. Access to these data was granted not only to the journalists and military men, but also humanitarian missions volunteers and community activists helping the IDPs. Ukrainian volunteers also set up sensor detection firing positions for forces hostile party. The sensor works like this: a system of several microphones placed in a circle at a distance of about 40 cm apart, and central microphone that picks up sound waves from the shot. Due to the difference in speed of sound flow to different microphones computer algorithm can determine the location of the sound source. A special interface allows you to display the results on the screen and use the data for the guidance of artillery. The system works like conventional computers, and on laptops and tablets. A working prototype can determine the point of keeping the fire from Kalashnikov assault rifle at a distance of 1 km. 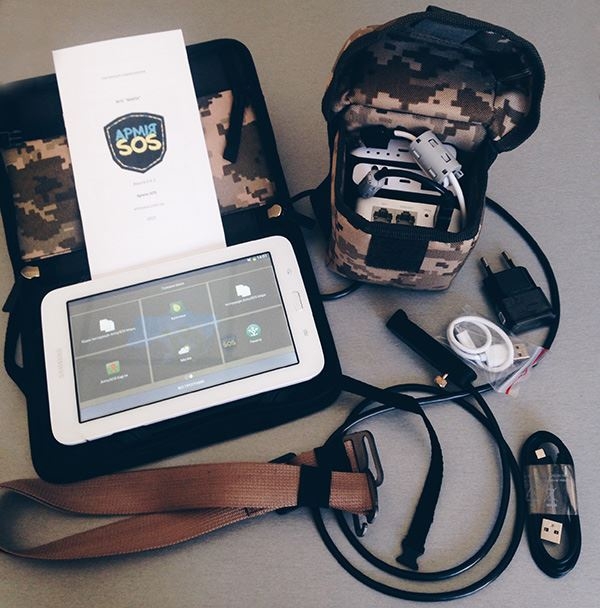 As a part of the same stream of volunteer projects at iForum-2015 Yuriy Dobronravin, a representative of “Kvazar Micro” demonstrated to the attendees the so-called “officer’s electronic tablet” as well as major developing Ukrainian company on automation equipment for the ATO zone. 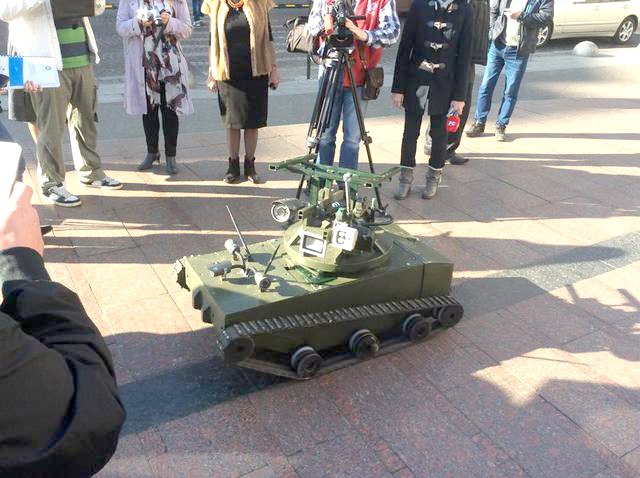 Developed in Lviv this robot has immediately gained popularity among the Ukrainian IT specialist and Software developers, as well as within the military community. It is multi-functional as it’s able to gather information, forward up to 300 kg cargo and weapons. It can also evacuate the wounded people since it has a large operational range of 6 hours and possibility to work on accumulators from any vehicle. Its mechanism functions within the range of -40 to +80 °C and no matter if it snows, rains or hails. Volunteers tried to help not only the gunners, but infantrymen and special forces. The ComBat system, presented in April of 2015 at iForum, allows coordinating the actions of soldiers during the combat or reconnaissance in the real-time mode. The prototype has been developed in 2012 under the guidance of Yevhen Maksymenko, the strike ball specialist. In 2015 it was reconfigured for the military purposes, adding the protection system communication, maps, voice commands, program integration with long-range surveillance scope, etc. The system is similar to the American Nett Warrior program on units management. The whole institutes work on the development of the system in the United States applying connection standards with the machinery, etc. We managed to bring it to life with the help a small community of Ukrainian developers. The aforementioned UA.RPA during 2015 introduced a range of innovative devices for signalers and intelligence officers. For example, the short-wave radio station of remote communication that can work on the distance up to 600 km. The use of the new technology Software Defined Radio (SDR) allows drastically modifying the device owing to the simple firmware change, for instance, frequency shifting, modulation, use any encryption algorithms. By the way, the radioset of Mars research vehicle Curiosity works on the principle of SDR. Universal control of gun nest and actions coherence of during the shelling is another problem solved this year owing to the volunteers. It is a hardware and software complex for the modernization of small arms called “Kropyva”. It combines the tools of intelligence, control and fire destruction in a single electronic information network, a request to which can be set from the usual Android-tablet with a specially installed firmware. To control the transfer command “Kropyva” uses shortwave and digital radioset compliant with the standards of secure communications of NATO troops. The complex is also compatible with other communication channels, including fiber and satellite networks. It allows managing not only artillery units but intelligence drones.